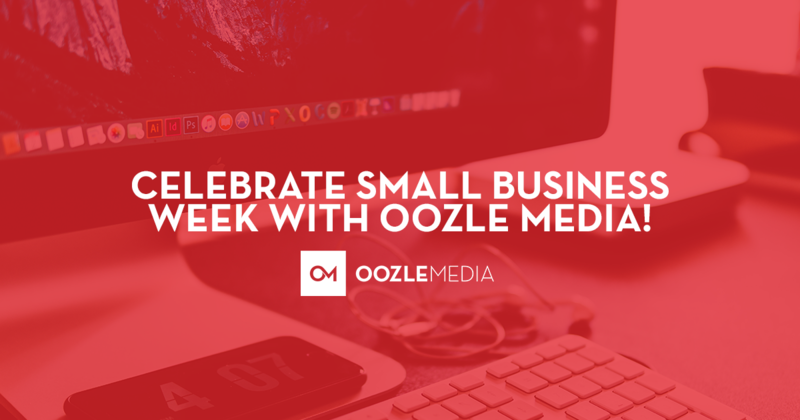 Celebrate Small Business Week with Oozle Media! On Wednesday, May 2nd, 2018, Oozle Media will be going live on our Facebook Page and hosting a GYBO event! Oozle’s clientele is centered around mostly small to medium-sized businesses, and as such, we are completely stoked to be celebrating small business week! On the day of the event, we are going to be discussing some interesting things, including our recent partnership with Google, Get Your Business Online (GYBO), and the recent blogs that our awesome Oozlers have written in April. We are inviting our local business owners to come to this free event hosted by Oozle Media at 9:30am. The actual event will begin around 10am. Our discussion of our recent findings about the world of marketing, and GYBO will take place from 11am until about noon, which is when our team will go live. Our live panel will be hosted by some of our Oozlers discussing the benefits of WordPress and the benefits of hiring an agency to do your marketing. Interested in Marketing for Your Small Business? Check out these helpful blogs. We hope to see you on May 2nd, and we’re glad you get to learn along with us!